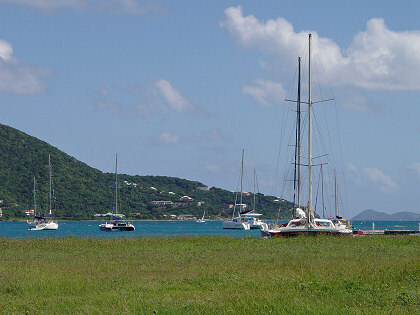 Sailboats at anchor in Road Harbor, as viewed from near the ferry terminal. Sailboats at anchor in Road Harbor, as viewed from Queen Elizabeth Park along Waterfront Drive. 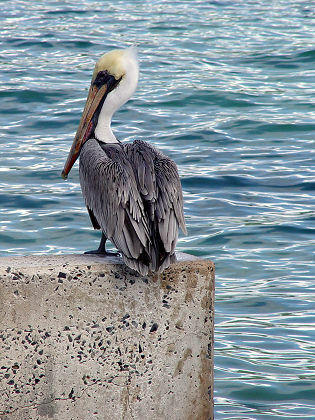 A patient pelican along the shore near the ferry terminal, waiting for a meal to swim by. Click on the picture to see a bigger version; use your browser's "back" command to return here. 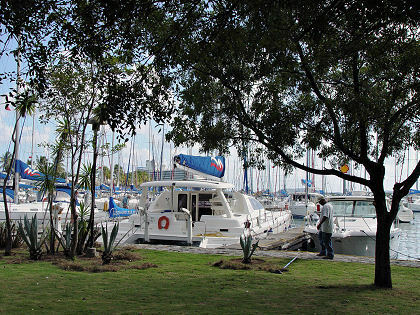 Numerous sailboats available for charter from the Moorings base at Wickhams Cay II, off Waterfront Drive past the traffic light. Click on the picture to see a bigger version; use your browser's "back" command to return here. 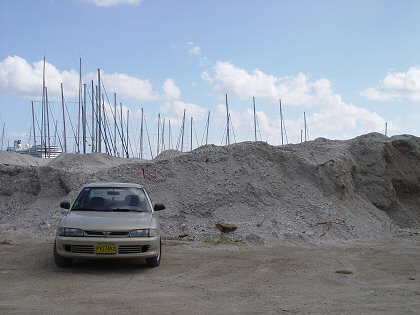 This is a parking lot near the Moorings marina; I wonder if the dirt is dredge spoil from deepening the marina?